Lyndey Milan OAM, a familiar face on television and in print, has been instrumental in changing the way Australians think about food and wine for over 30 years via her own nine best-selling cookbooks, eight TV series and influence as former Food Director of the iconic Australian Women’s Weekly. She is an award-winning multi-media presenter, MC, speaker, food & wine teacher, consultant, debater, judge and regional Australian specialist who makes numerous TV & culinary appearances. She has an ability to connect with all audiences. Lyndey is also Creative Director of Flame Media, an international TV Production and Distribution Company with offices in Sydney, London, Cardiff, Singapore and Eastern Europe and Flame Studio in Sydney. She has a profile beyond Australia including: UK’s Saturday Kitchen; NBC Today Show during the Sydney Olympics; with Anthony Bourdain when he was filming in Australia; in Rick Stein’s Seafood Odyssey. During her eight years as co-host of Fresh with The Australian Women’s Weekly on the Nine Network Australia, she regularly hosted such visiting chefs as Jamie Oliver, Rick Stein and Gordon Ramsay. Her most recent TV series Lyndey Milan’s Summer Baking Secrets screened on both the 7 Network and LifeStyle FOOD. She has also launched the Lyndey Milan Baking range. 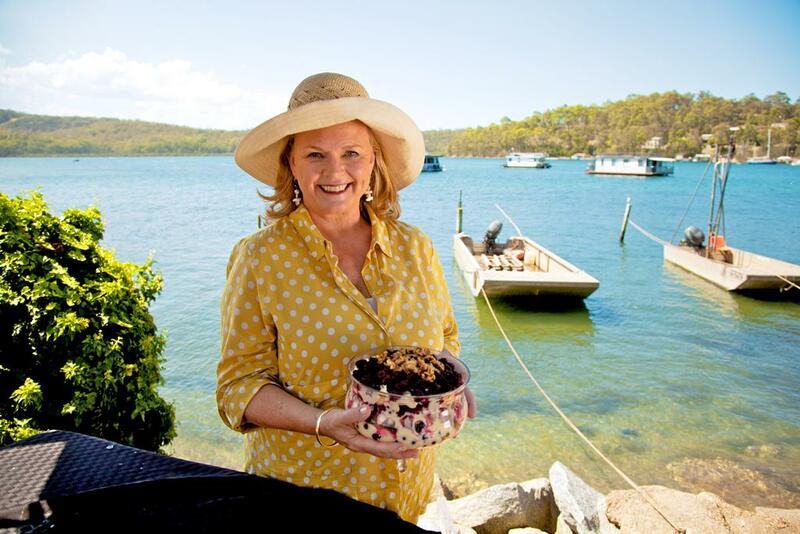 Lyndey Milan’s Taste of Australia continues to screen internationally and on airlines to rave reviews and was named Best Food TV series in the 2016 Gourmand World Awards. The accompanying book also won Best TV Chef Cookbook in the World at the 2015 Gourmand World Cookbook Awards and in the Best of the Best for the last 20 years at the Frankfurt Book Fair, won third overall. Other TV series include Lyndey & Herbie’s Moveable Feast, Lyndey Milan’s Taste of Ireland, Lyndey & Blair’s Taste of Greece, Lyndey’s Cracking Christmas, Lyndey Milan’s Baking Secrets and Inside Lyndey’s Kitchen. Other books include Lyndey & Blair’s Taste of Greece, Lyndey Milan, the Best Collection, Just Add Spice (co-authored with Ian Hemphill) and Balance, Matching Food and Wine, What Works and Why (with Colin Corney) which won Best Food and Wine Writing at the 2006 Australian Food Media Awards. 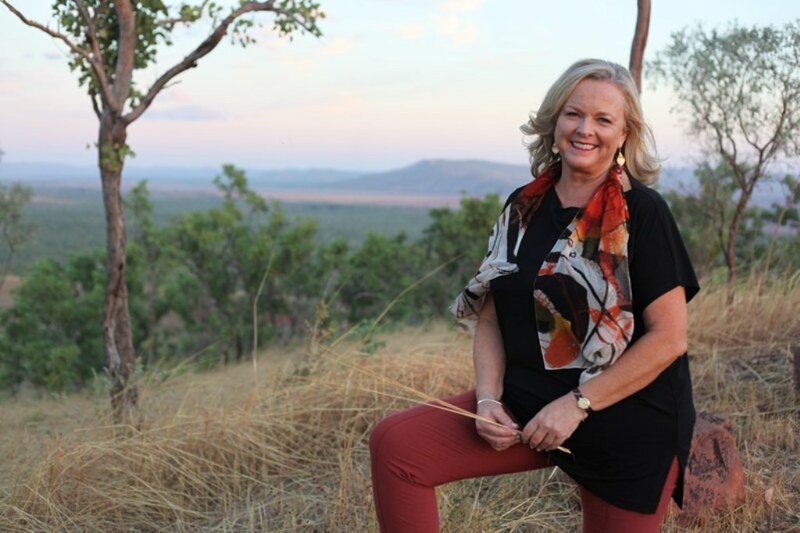 Lyndey is a popular guest on the various Australian networks’ morning shows and is a key contributor to Selector magazine, a bi-monthly publication for food and wine enthusiasts. Her unflagging energy sees her as Vice-President of the Royal Agricultural Society of NSW. She has just stepped down as Chair of the KPMG Sydney Royal Wine Show and is again Chair of the Fine Food Committee which she founded –which judges thousands of Australian products in categories including aquaculture, branded beef, branded lamb, professional bakery, coffee, beer, pasta and noodle, regional food, olive oil and deli meats. In 2012 her peers presented her with The Vittoria Legend Award, Sydney Morning Herald’s 2012 Good Food Guide. She was also named as a state finalist in the Telstra Business Women’s Awards. This was followed in 2014 with an Order of Australia, for service to hospitality, the food and wine industry and the community. She sits on the influential Food and Wine Advisory Committee for Tourism Australia. A deep held love for food and wine has made Lyndey an inveterate traveller for both work and pleasure and she has been to all seven continents on earth. She has an extensive knowledge and enthusiasm for Mediterranean food and wine and hosts cruises and tours to the area with Travelrite, is an enrichment speaker for Silverseas cruises, a speaker on and is presenting on the Indian Pacific from Perth to Adelaide and hosting a tour to Puglia in May 2018. Her friendly personality make her the ideal person to lead a tour and she takes special pride in seeking out special food and wine experiences for her guests. Lyndey also runs a consultancy business which includes public speaking, appearances such as the Sydney Royal Easter Show, cooking classes, recipe development, food and wine appreciation classes and advising food and wine clients – in fact anything to do with food, wine, agriculture and lifestyle. She is on the Tourism Australia Food & Wine Advisory Panel and judges for many industry organisations and works voluntarily for various charities including as co-Founder and Patron of Tasting Success, a mentoring program for female chefs.